2018/04/30 Thank you for staying! 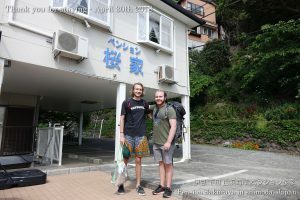 They are from Canada and England, and came to Japan in last July to get into the university as study abroad students. 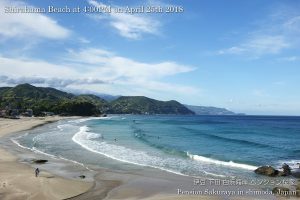 It was the first time for them to visit Izu peninsula, but they were lucky to have sunny days during their stay. On the 2nd day they went to Suzaki walking trail and swam at Tsumekizaki cape. 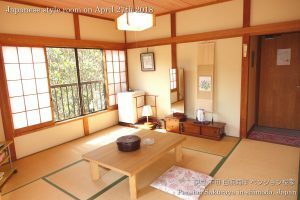 They went to Jogasaki in Ito city after check out. 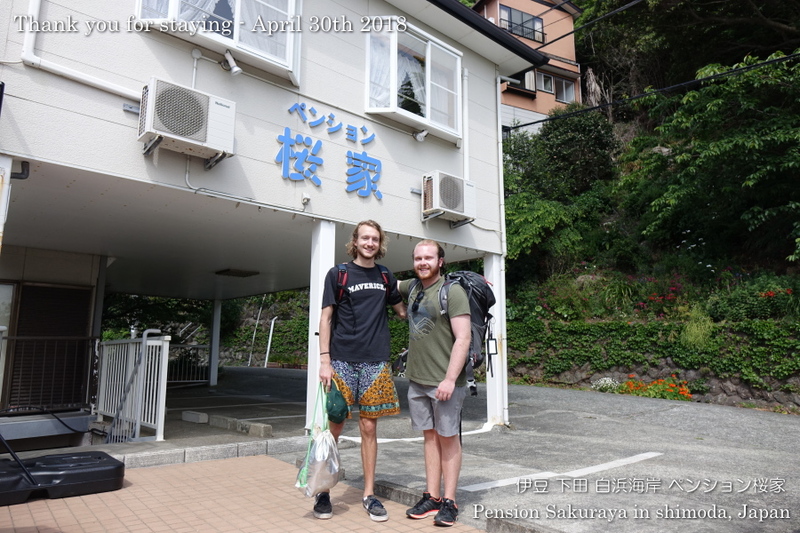 We are looking forward to meeting you someday again. This entry was posted in Customers, Pension Sakuraya on 2018年4月30日 by izusakuraya. 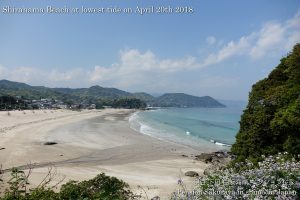 I took pictures on the way to Shimoda city for shopping before noon. 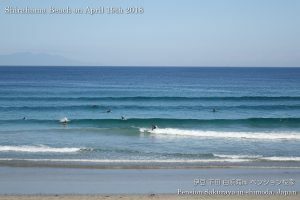 It was sunny here in Shirahama today, but they didn’t have good wave to surf. 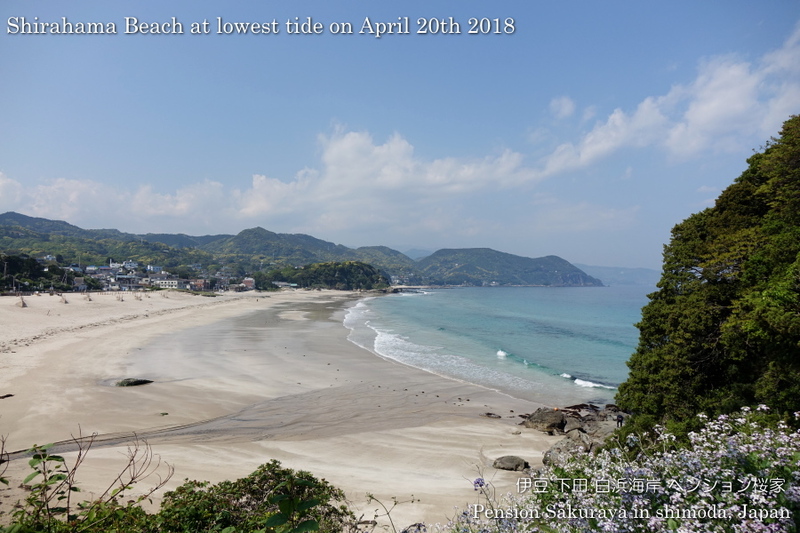 This entry was posted in beach on 2018年4月29日 by izusakuraya. “Don’t you set up Koinobori this year?”. Oh, no! I had completely forgotten it!! 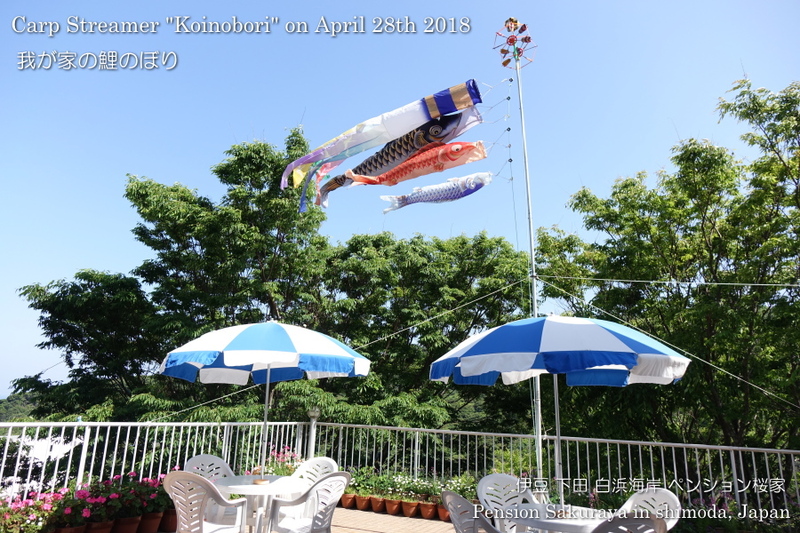 Koinobori, meaning carp streamer” in Japanese, are carp-shaped wind socks traditionally flown in Japan to celebrate Children’s Day on May 5th. We, Japanese set up this Kinobori in honor of children for a good future and in the hope that they will grow up healthy and strong. 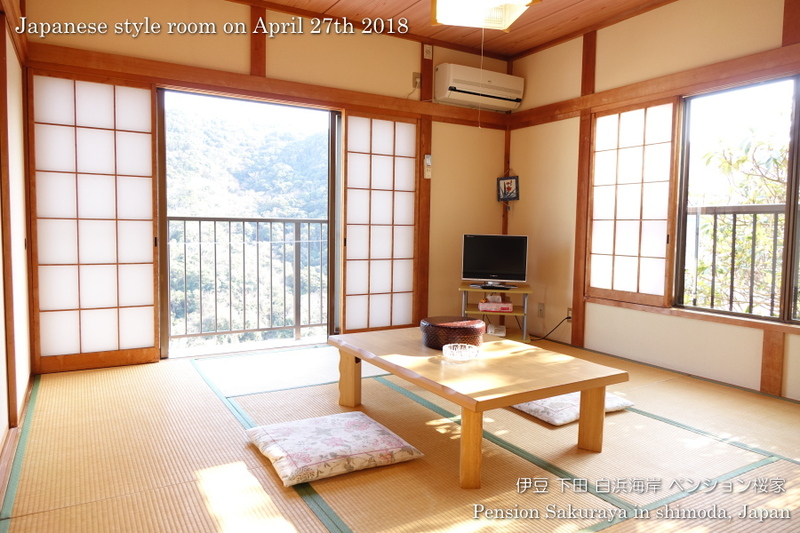 This entry was posted in Family, Pension Sakuraya on 2018年4月28日 by izusakuraya. We are getting into the Golden Week holiday tomorrow. 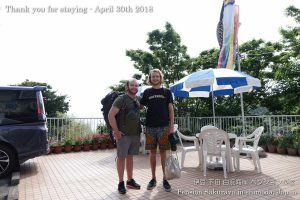 Are you going to anywhere for your holiday? 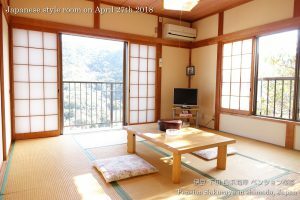 My wife and I finished cleaning rooms and windows today. 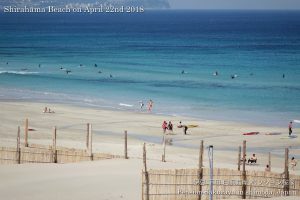 So we are now ready! 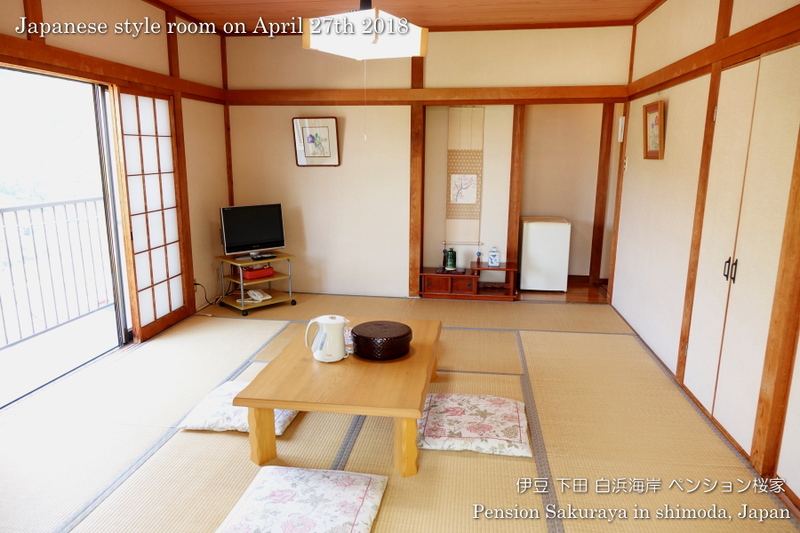 This entry was posted in Pension Sakuraya on 2018年4月27日 by izusakuraya. 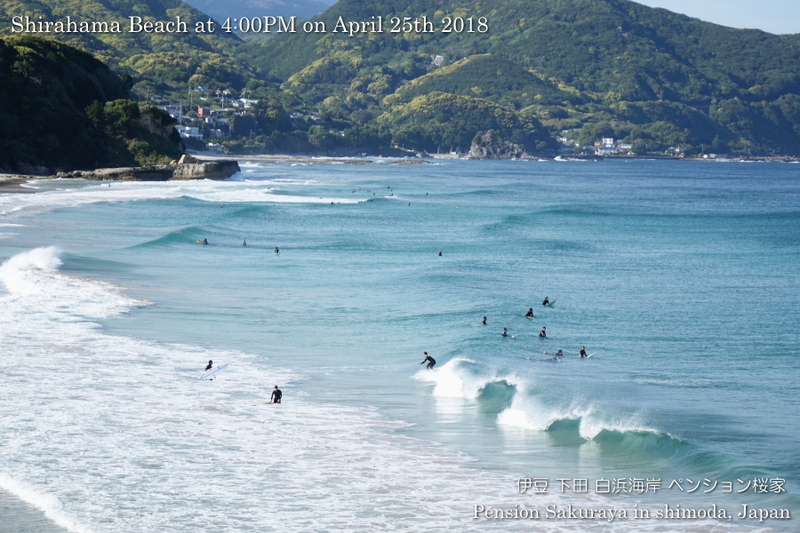 The trains on Izukyuko-line were stopped between 9:00 AM and 12:00 AM because they had heavy rain here in Izu peninsula this morning. 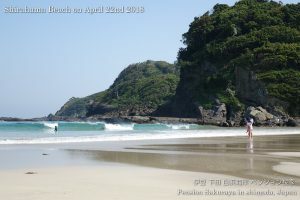 Of course we also had rain and strong wind, and Shimoda city announced flood warning. 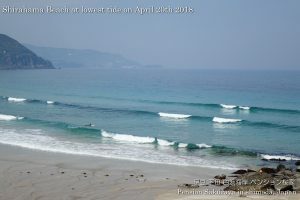 But the beautiful blue sky came back after the low pressure system passed this afternoon. 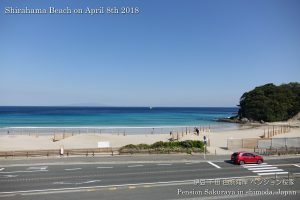 This entry was posted in beach on 2018年4月25日 by izusakuraya. 2 days ago, when I was walking down the hill from Sakuraya as usual I heard a sound that something hit against wall or window behind me. 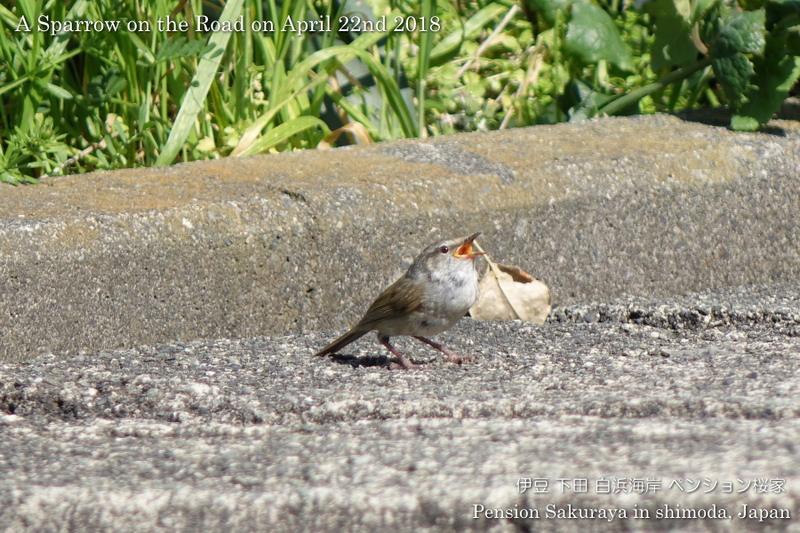 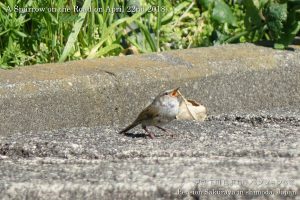 I was surprised and saw it, and knew that it was a sparrow! 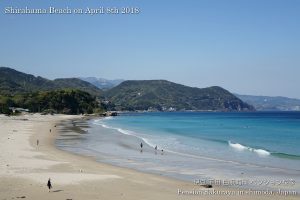 This entry was posted in nature on 2018年4月24日 by izusakuraya. 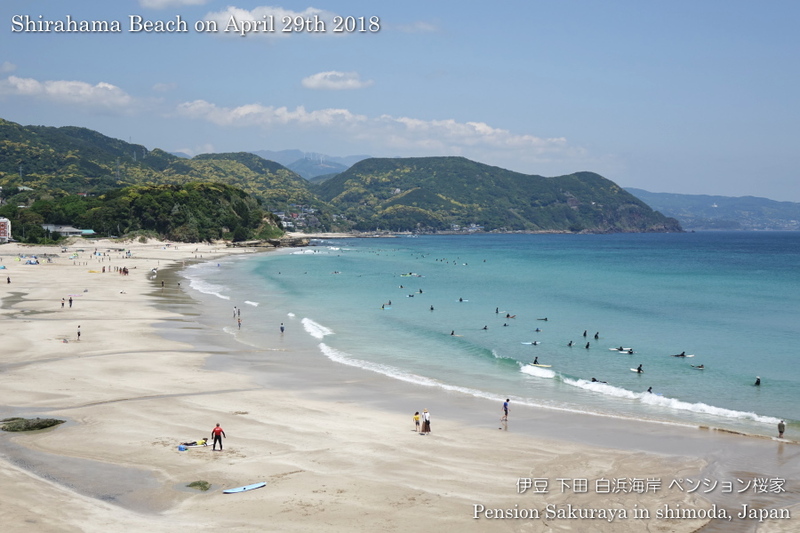 2018/04/22 Swimming in the Water! It was sunny and very beautiful day! After I finished cleaning the guest room I went to the beach to take pictures this afternoon. The water was blue and clear, and there were some people swimming on Sunday beach. I was really enjoyed walking under the blue sky on the beach. 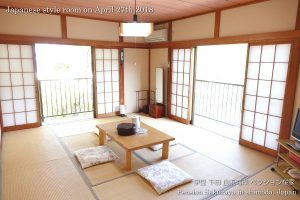 Click here to see more pictures on Facebook. 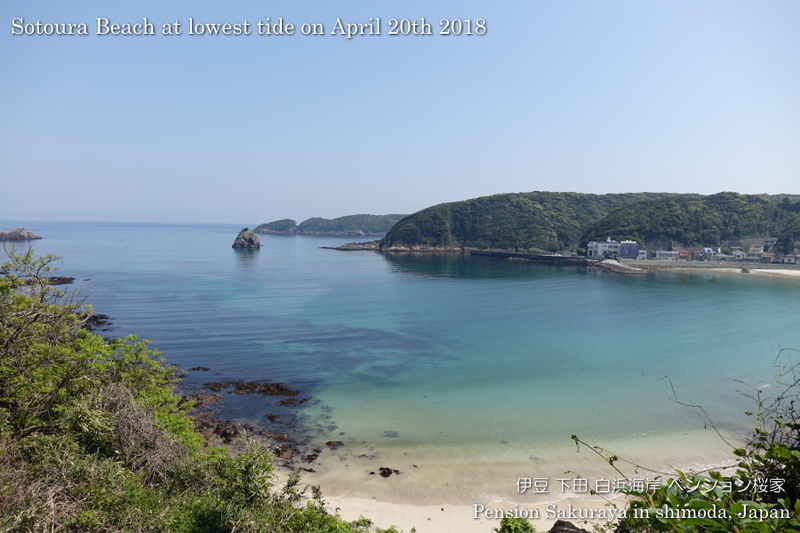 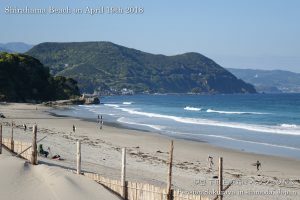 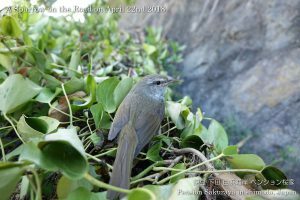 This entry was posted in beach on 2018年4月22日 by izusakuraya. 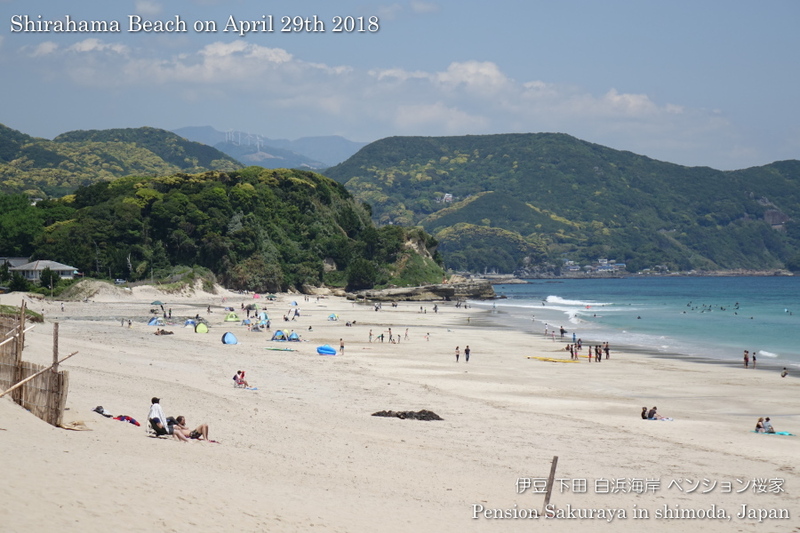 I walked to Sotoura beach this afternoon as usual. 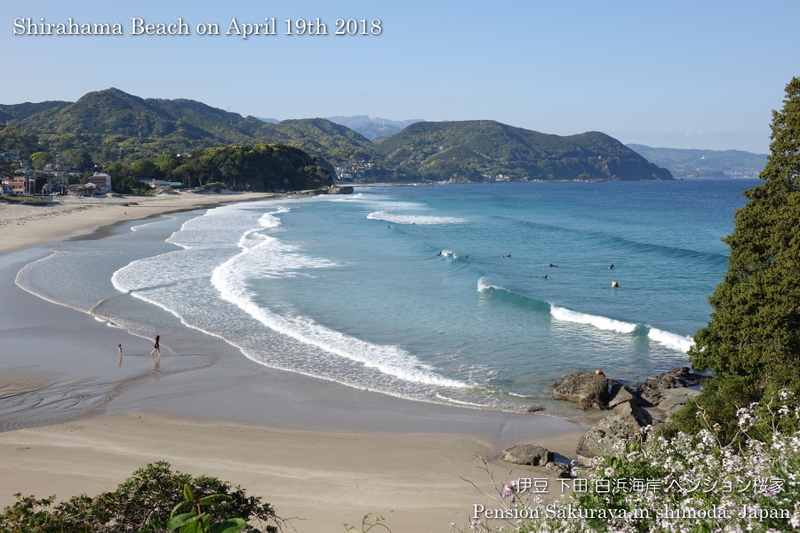 In summer this beach is very popular with families with small children, because this beach is in the shape of creek and they don’t have big waves. 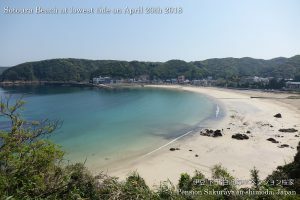 By the way, when I walked on the seaside road they had the lowest tide of the sea. In such a condition the beach is much wider than usual! 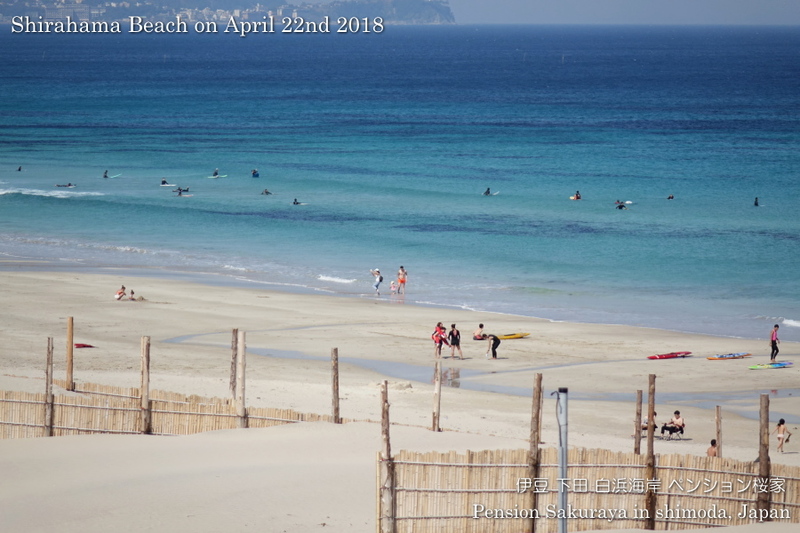 This entry was posted in beach, nature on 2018年4月20日 by izusakuraya. 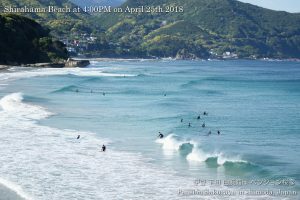 I got back my computer after 9 days because I sent it to repair on April 9th. 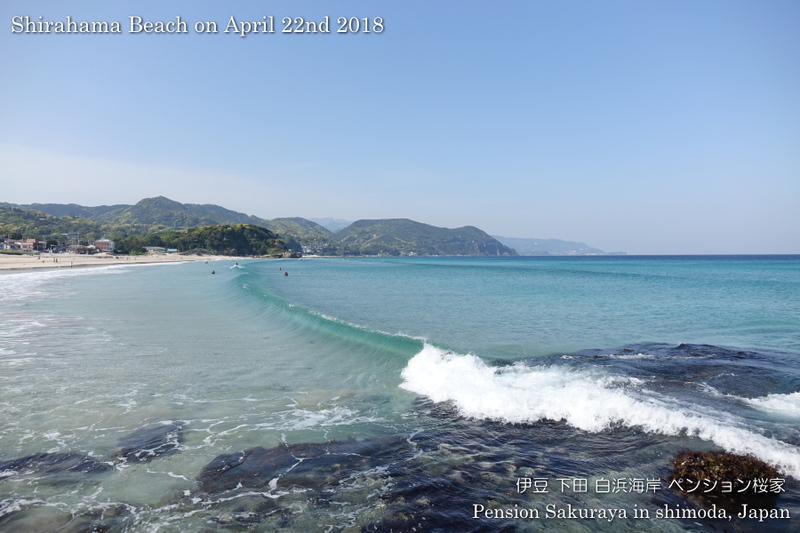 It was sunny and the blue sky was really beautiful after the low pressure system passed today. 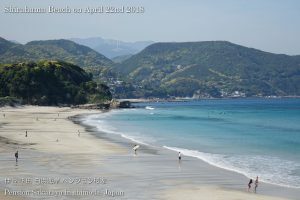 When I walked on the seaside road this afternoon as usual I took some pictures of the nearest beach Shirahama. By the way I’m a member of chorus group in Shimoda and we will have a performance with young Japanese professional conductor Kazuki Yamada who lives in Germany and a professional orchestra “Yokohama Sinphonietta” on March 16th 2019. 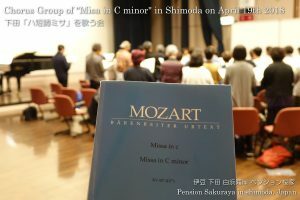 We had already started practicing in last March and it’s a little difficult for us to sing. But we are really looking forward to the stage in Shimoda! 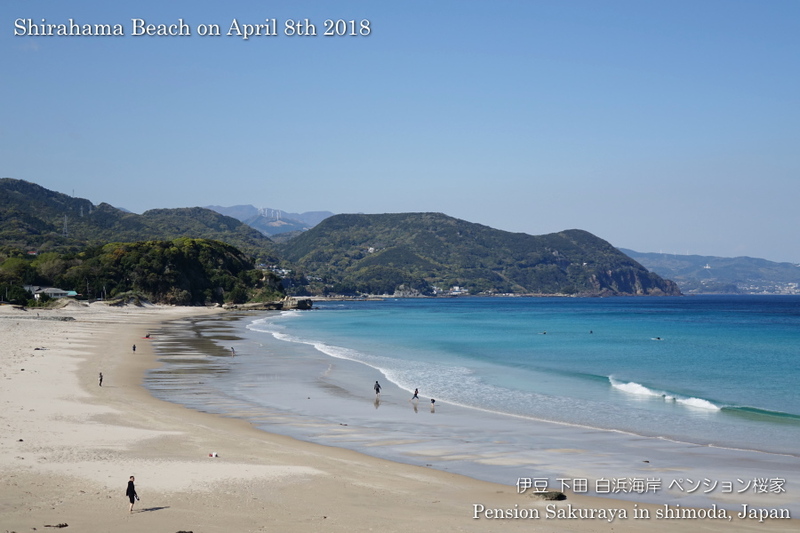 This entry was posted in beach, Family on 2018年4月19日 by izusakuraya. 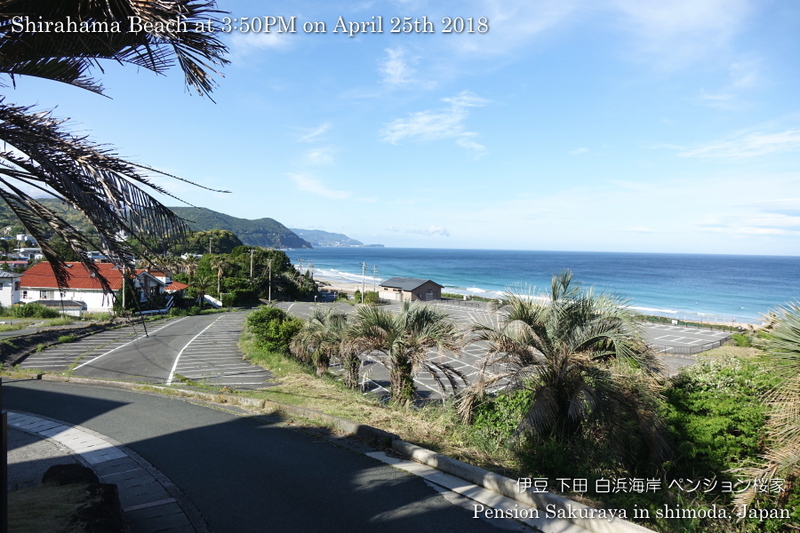 I walked on the seaside road as usual this afternoon. 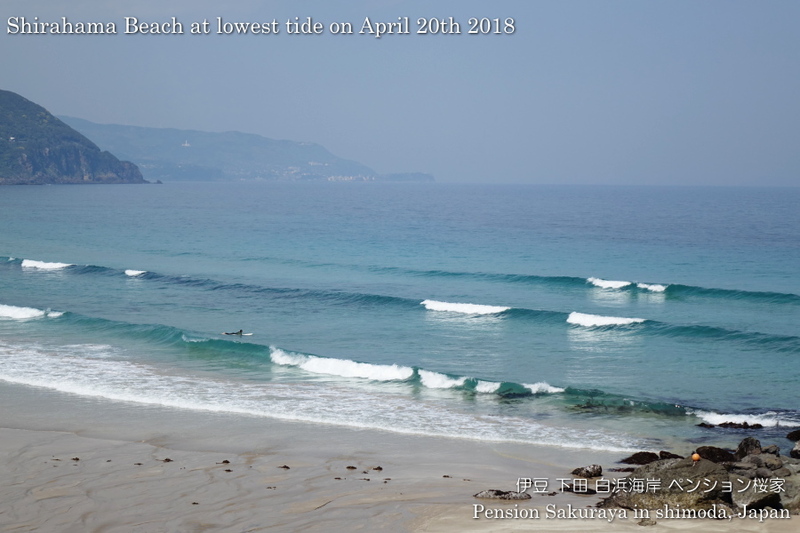 We sometimes had very strong west wind again today, but the sky and the sea were beautiful because the air was very clear! 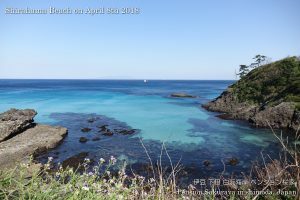 The blue sea water was shinning under the sun! 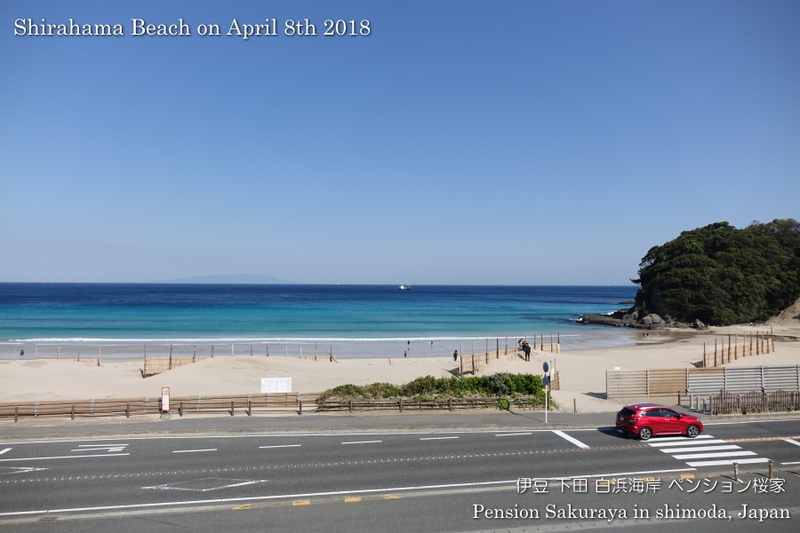 This entry was posted in beach on 2018年4月8日 by izusakuraya.